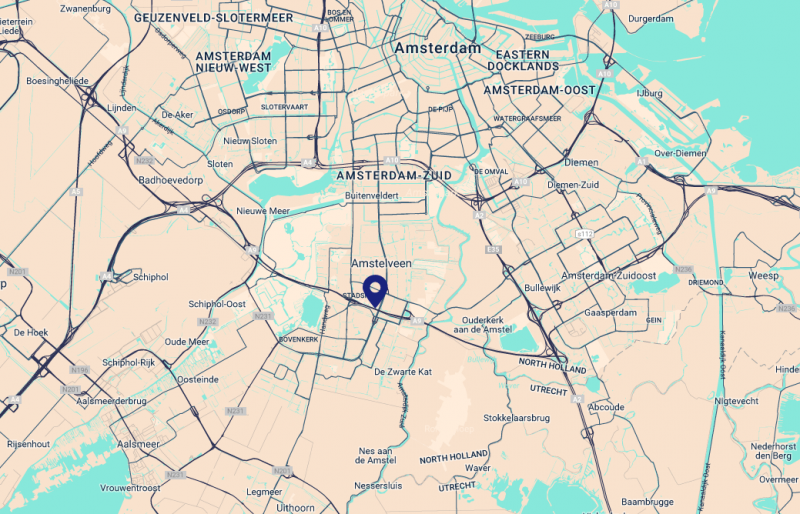 The office adres is: Handelsweg 59F | 1181 ZA | Amstelveen and is located at the intersection of the Handelsweg | Van Heuven Goedhartlaan. When using a satnav please use the following adress: Handelsweg 57 | 1181 ZA | Amstelveen. Access to our office is located in the lefthand corner of the garage. There please ring to enter the elevator to the third floor.